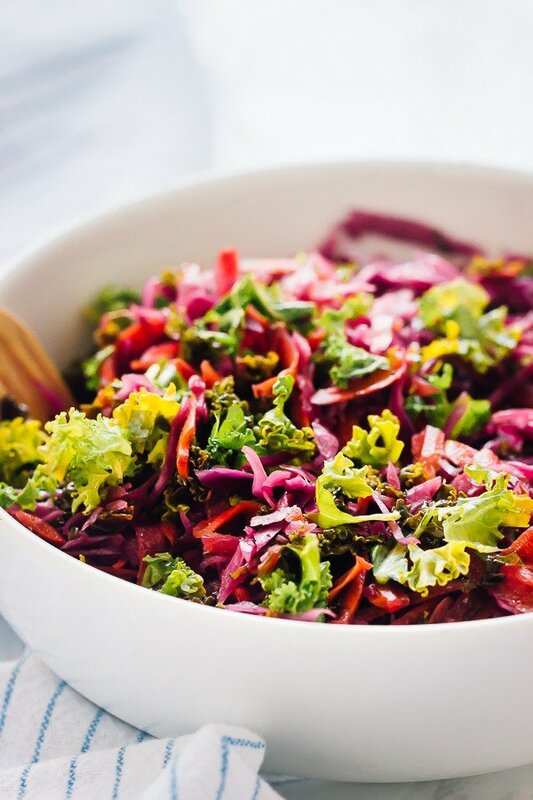 This is the best Kale Cabbage Slaw you’ll ever try! It’s healthy, just 5 minutes of prep and goes well with everything! 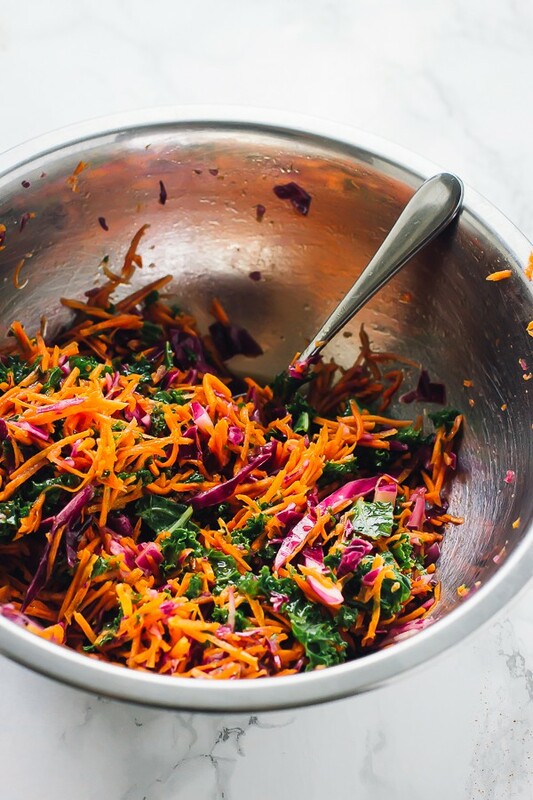 This Healthy Kale Cabbage Slaw is THAT slaw. The slaw that goes well with everything: your Crispy Cauliflower Tacos, your Quinoa Cauliflower Burgers, your spring rolls, and even with your enchiladas. 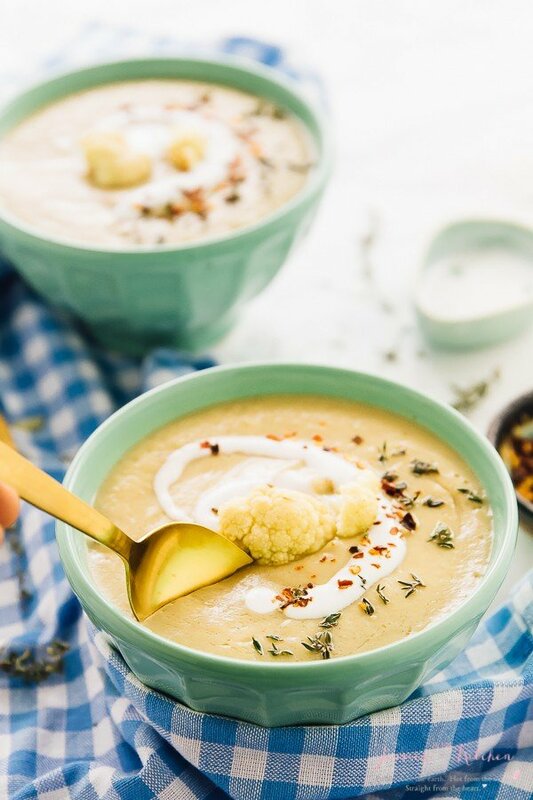 I’ve made this so many times and I’m actually resisting the temptation to make it again right now since the ingredients are in my fridge and it takes just 5 minutes. Best part? NO mayo, no unrefined ingredients, no complicated process. You have to make this. I’ve never really been a huge coleslaw fan. It’s too creamy, too clawing, and I just feel like every bite is a million calories. Not the worth-it calories like amazing brownies, but the kind that you’re regretting with each bite. So, I’ve kind of avoided it, until now. I first made this healthy kale cabbage slaw when I made my Crispy Cauliflower Tacos (please go make this tonight) and the Mr. and I knew that it would continue to be a staple in our household. I had kale, purple cabbage and carrots in my fridge (so many carrots) and chose them mainly because of the gorgeous bright colours. What I didn’t know is how delicious it would taste. It’s the perfect amount of tang balanced with the little bit of cane sugar. The right amount of crunch and depth of flavour and has no mayo, unlike your regular slaw. Personally, I love this way more than regular coleslaw, especially the vinaigrette-ness of it. Put it on ALL the things, then EAT all the things. Lots of beta carotene from the carrots, incredible amounts of Vitamin A and K from the kale, and endless amounts of benefit from the apple cider vinegar (heart healthy, weight loss promoting, blood sugar levels stabilizing). You can enjoy all your favourite slaw meals in a new, healthy way without losing ANY of the flavours. Win, win. Q: I’m making this kale cabbage slaw for a party. Can I make it ahead of time? A: This slaw tastes amazing on day one, and takes only 5 minutes to prep. I would recommend making it the same day of your party. Mix all the ingredients for the slaw together. Use immediately, or ideally place in fridge or on counter up to an hour so all the flavours can marry together. You can store this slaw in an airtight tupperware container in the fridge. If you try this Kale Cabbage Slaw please let me know in the comment section below, or tag me on instagram with the hashtag #jessicainthekitchen! For more exclusive recipes follow me on Instagram AND on Snapchat: jessinkitchen. Yeah!! That’s how I love my winter salad! Gorgeous colour and flavour, Jessica. Oooo I love a good slaw!! Although, only the ones without mayo! haha This version looks delicious!! Okay, first of all, the colors in your cabbage slaw are just amazing. There’s just something about eating the colors of the rainbow that just feel good, ya know? I totally get what you mean on not liking how creamy coleslaw is… always put me off for sure. 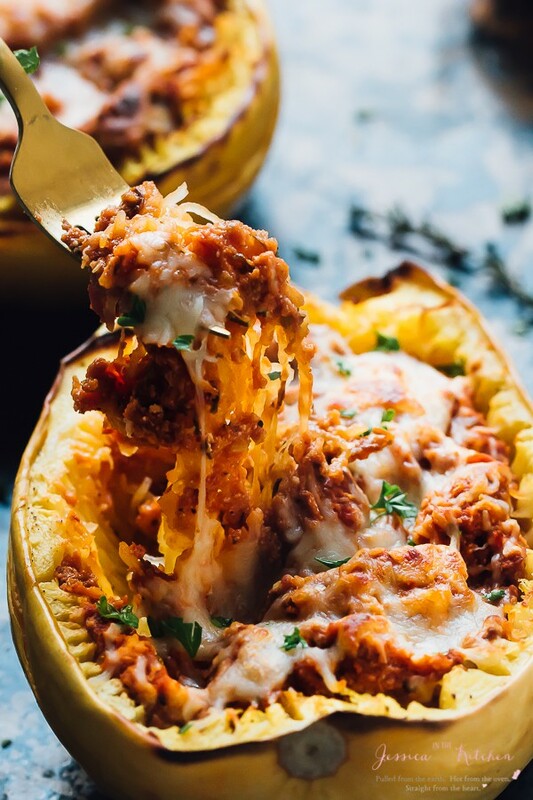 So cool that you created this for the crispy cauliflower tacos (Oh WOW) and was able to put it into so many other recipes. 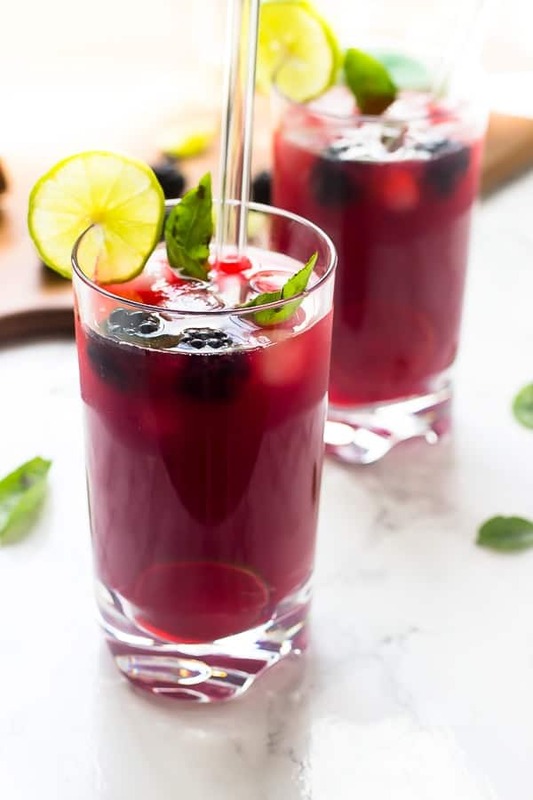 It looks so refreshing and tasty! 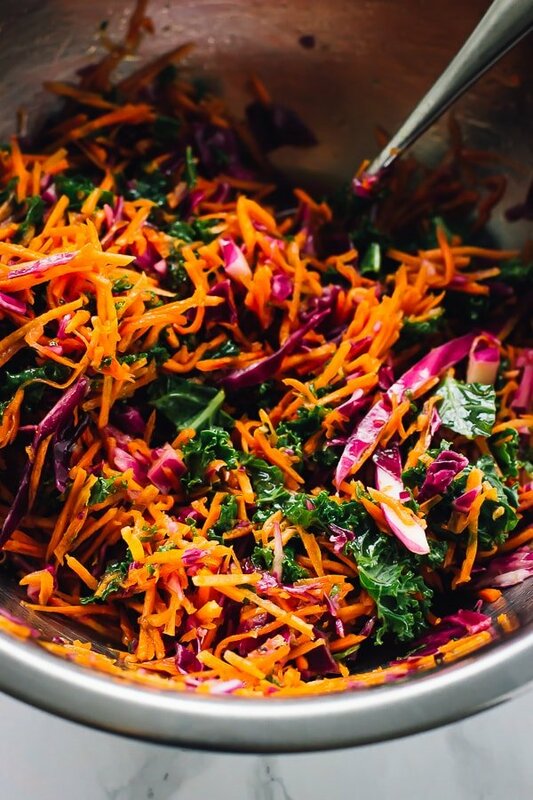 Kale slaw is one of my favorites and I’m with you and LOVE that this has no mayo! It looks delicious and I could seriously have this every day! OMG.. this looks amazing Jessica. I love all the colors.. such a neat idea. People eat with their eyes. I am a coleslaw fan and I *love* slaw like this, It looks fab with with a better taste and health benefits to top it off! Oh my god this slaw is gorgeous! Absolutely love all those colours!